From Farringdon Station turn left onto Cowcross Street and immediately left into Turnmill Street, by the side of the station, then take the first turning right into Benjamin Street. Eagle Court about 90 yds on right. Situated within a stone's throw of the Grand Priory Church of Order of St John, this forlorn Court lies in a near state of dejection, abandoned by the Order which many years ago raised it to the status of recognition. This site was once occupied by the house of one of the top-ranking officials of the Order of St John - the Bailiff of Egle. In the year 1312, the Pope issued a decree that the Order of the Knights Templars were to be abolished and that all their assets, buildings and furnishings, were to be given over to their opponents, the Knights Hospitallers, or the Order of St John of Jerusalem. It turns out that only a very small portion of the Templars' great wealth reached the clutches of the Hospitallers; the lion's share being retained by Edward II and Philip le Bel, King of France and ali of Pope Clement. Protests by the Hospitallers were at first overruled, merely inspiring loud proclamations from Edward that they were forbidden from meddling with the fabric of the Templars. Part of the land, namely that lying to the west of the Temple, was granted by the King to the Bishop of Exeter and from him it passed through the hands of Lord Paget and the Duke of Norfolk, who sold it to the Earl of Leicester. In later years the inheritance became the property of Leicester's stepson, Robert Devereux, Earl of Essex, who built his house on the site - now Devereux Court. Meanwhile, the portion of the Templars land which lay inside the City boundary had passed through successive hands and upon the accession of Edward III was granted to William de Langford, Clerk to the King, at an annual rental of ,24. In 1337 the Hospitallers protested concerning the allocation of consecrated ground into the hands of a layman which resulted in a debate leading to a division between the consecrated and the unconsecrated parts of the Temple, paving the way for the two societies of Inner and Middle Temple. About the year 1340 the Hospitallers accepted an offer from the King of the entire consecrated ground of the Temple in exchange for a donation of ,100 to the Crown. In addition, upon the expiry of Langford's lease, in 1343, the whole of the Temple grounds would be transferred to the Hospitallers. About this time the Order of the Knights of St John created and installed the first bailiff to look after their rightful inheritance. Eagle Court, where his house once stood is now very plain and totally devoid of outstanding character. Over the St John's Lane entrance is a recently constructed building of red brick, and filling almost the entire north side of the Court is the London Institute. At Barbican Station cross to the south side of Long Lane and turn into Cloth Street opposite the station. East Passage is almost immediately on the right. A Passage leading out of Cloth Street on the east side of the ancient priory of St Bartholomew founded in 1123 by Rahere, a court jester to Henry I. It is a fairly narrow way, covered throughout its length with brick buildings lining both sides. In this Passage is Ye Old Red Cow, one of the earliest ancient taverns of Smithfield. It is a place of compact proportions and space within its walls is, to say the least, severely restricted and consequently the luxury of seating around its central servery is very sparse. A painting in the Guildhall depicts the tavern as it appeared in 1854. In neighbouring Middle Street is another old tavern, the Hand and Shears, popularly known to the locals as the Fist and Clippers. It dates back over 400 years and takes its name from the cloth merchants and tailors of Bartholomew Fair who first began setting up their stalls around here in the mid-12th century. (See Cloth Court). During the 16th century, on the 24th August - St Bartholomew's day - it was customary for the Lord Mayor to emerge from the Hand and Shears, after sufficiently lubricating his vocal chords, and proclaim the opening of the fair in a very loud voice. However, this procedure was only the ceremonial show put on for the benefit of the gathered crowds of the morning; the actual opening was performed by a group of tailors who spent the evening supping ale. As the clock struck midnight they issued forth into the street waiving shears above their heads proclaiming 'the proceeding shall begin'. In an upstairs room of the Hand and Shears was held the Court of Pieds Poudres - Dusty Feet, set up to try the cases against traders accused of selling short measure and other unethical practices. "Come my rare round and sound, here's choice of fine ware,"
Though all was not sound sold at Bartholomew Fair. Here's the up-and-downs, who'll take a seat in the chair? Tho' there's more up-and-downs than at Bartelmew Fair. Here's the merry-go-rounds, "Come, who rides; come, who rides, Sir?" Bartholomew Fair officially ceased in 1855 but the Meat Market, built on the site of a cattle market established at Bartholomew Fair when general traders were authorised to sell their wares, is still operating. Built in 1867, it occupies a site covering over ten acres, constituting the largest meat market in the world. To the multitudes this quaint and narrow passageway, linking Hatton Garden with Ely Place has one main attraction - the enchanting Old Mitre Tavern. The first tavern on this site was built in 1546 by Bishop Goodrich, Bishop of Ely, for the enjoyment of his Palace servants (see Ely Place). The present building is of the 18th century. Apart from the Bishops of Ely, there was another character featured prominently in the history of this area - he was Sir Christopher Hatton, Lord Chancellor to Elizabeth I. At the time of the Queen's first acquaintance with Christopher Hatton, he held the position of Master of the Game at the Inner Temple. They met at a theatrical performance staged at Whitehall in which Hatton played a leading part, attracting the Queen's attention by his graceful dancing. From that time he became a great favourite of her majesty and in 1577 was appointed Vice-Chamberlain, and in 1587 Lord Keeper of the Great Seal - called by Elizabeth, her 'dancing Chancellor'. They engaged in frequent meetings, and in the House of Commons he was the Queen's spokesman, expressing her approvals and dissension's. When it occurred to Sir Christopher Hatton that he should reside in a mansion fitting of his position, he set his sights on the magnificent Ely House, London home of the Bishop of Ely. At the Queen's insistence Bishop Cox was persuaded to lease his gatehouse and fourteen acres of land to Hatton. To please her the Bishop, without question, agreed to a lease of twenty-one years at a yearly rent of �10 plus ten loads of hay and one red rose. Once establish in his ill-gotten gain, Hatton spent a great deal of money on additions and renovations to the property and land - money borrowed from his royal mistress. Both parties had use of the gardens but after a disagreement concerning the actual boundary of the part included in the lease, a cherry tree was planted to mark the division. It is said that Queen Elizabeth once danced the maypole around the tree during one of her many visits to Hatton. If you look in the corner of the bar parlour of the Mitre Tavern you will see, what is reputed to be, a preserved chunk of that very tree. As time passed, the Queen put so much pressure on Hatton to repay the money that he suffered sleepless nights and became ill. She later visited him and quite evidently her dominance caused a worsening of his condition. He died still owing �40,000, a debt that the Queen never forgot. Bishop Cox was obliged to inherit the liability but when he died his successor, Bishop Heton, refused to honour the agreement. He was ordered to comply or he would be dismissed from his position and defrocked. The characteristic letter from Elizabeth laid firmly before him the terms of her demand: 'Proud Prelate! I understand you are backward in complying with your agreement: but I would have you know that I, who made you what you are, can unmake you; and if you do not forthwith fulfil your engagement, by God I will immediately unfrock you.' - He presumable paid up. The Mitre is a charming old pub with an atmosphere reminiscent of a country inn. The walls, covered in oak panelling, are adorned with pictures associated with Ely Court and Place. There are two small rooms and a smaller ante-room known as The Closet and, be warned, it gets very busy, particularly at lunchtime and early evening. One point to ponder on when visiting the Mitre is - How on earth did the large table get there, since it is too large to pass through the door? Some say the pub was built around it. But there remains the riddle. From Chancery Lane Station walk east along north side of Holborn towards Holborn Circus. Cross over Hatton Garden and start to walk along Charterhouse Street. Ely Place is through the gates on the left. Entering Ely Place through the imposing iron gateway with its beadle's lodge, at once tell's you that this is a private road. It is a cul-de-sac that is still administered by appointed commissioners of the Crown. The houses are of the Georgian period (18th century) and feature Robert Adam style doorways. Until as recently as 1948 the beadle would nightly call the hour between 10pm and 5am with the one time familiar 'past ten o'clock, all's well'. Another ancient curiosity of Ely Place was that criminals could claim sanctuary from the police, but that is all history and those who commit crimes today are just as likely to be arrested in Ely Place as anywhere else. Strange as it may seem, this small plot of land, until quite recently, was not part of London at all, but Cambridgeshire. The history begins in 1251 when a church was built on the site of the present church of St Etheldreda, on the west side of Ely Place. Some years later the property was purchased by John Kirkby just prior to him being consecrated Bishop of Ely in 1286. When he died in 1290 he left the building and surrounding grounds to the diocese of Ely (in Cambridgeshire). In those days it was the duty of bishops to sit regularly in Parliament and this meant that it was necessary to have accommodation nearby. The magnitude of their London houses usually depended on the personal wealth of the bishop and we must assume that the Bishops of Ely were fairly well endowed. William de Luda succeeded John Kirkby and it was he who built the present church. Later, in 1336, a vineyard and orchard covering seven acres were added. Towards the end of the 14th century Bishop Arundell rebuilt part of the palace adding a gatehouse and a high wall to enclose the grounds. 'In this house, for the large and commodious rooms thereof, divers great and solemn feasts have been kept, especially by the serjeants-at-the-law'. All that now remains of the Bishops' Palace is the medieval chapel of St Etheldreda. The church of St Etheldreda displays some of the finest examples of Gothic architecture in the whole of Western Europe. With the exception of Westminster Abbey, it is London's only surviving building from the period of Edward I. The west window, when compared with the size of the building, is enormous; it was completed in 1964 and commemorates the English martyrs of the Tudor period. Scenes from the Old Testament are depicted in the windows on the south side and scenes from the New testament in those on the north side. Also notable are the carved gorbels between these windows. A number of large statues are of local men and women who were martyred for their faith. The original doorway that separated the Chapel from the Bishops' Palace is on the south west side. St Etheldreda's suffered a great deal of damage and decay over the years but thankfully escaped the ravages of the Great Fire with minutes to spare. St Andrew's, only yards away, was completely destroyed but a change of wind spelt reprieve for the Bishops' old chapel. During the Civil War of 1642, the buildings of Ely Place were used as a prison. It was finally sold to the Crown in 1772 when the London residence of the Bishops of Ely was transferred to the newly built Ely House at 37 Dover Street; this remained their official London residence until 1909. Between numbers 9 and 10, the narrow Ely Court leads to Ye Old Mitre Tavern. Notice the iron bar down the centre of the opening - it was placed there to prevent horse riders from entering the narrow passage. From Tottenham Court Road Station walk west along the north side of Oxford Street. In about 150 yds cross over Hanway Street then turn right into Rathbone Place. Evelyn Yard is about 45 yds on the right. Leaving Rathbone Place through a wide covered opening, a short passage opens into a spacious true-to-form yard. It was laid out by the descendants of the 17th century diarist John Evelyn. John Evelyn was an architect who specialised in garden design; like Pepys he busied himself with the activities of daily life and kept an accurate record of things of consequence. Much of our present day knowledge of the Great Fire comes from the writings of John Evelyn. He had great aspirations for rebuilding the City after the 1666 destruction and along with Christopher Wren, William Petty and Nicholas Barbon, presented his plans to the King. His unique idea was centred around gardens filled with sweet smelling blooms with interspersed vegetable patches. Evelyn's scheme involved the moving of all industrial workings down river and laying the central areas out with planted flower and herb beds. Cattle and sheep grazing, he suggested, should have a place in the new City and his plans provided for substantial meadow land. As it turned out none of the submitted plans were accepted. The committee set up by the King made a decision to rebuild the City using the original layout as the basis for design. The long dry summer that had contributed to the spread of the fire was followed by one of the wettest winters on record. This meant that work could not commence until conditions improved. On the 29th March 1667 Pepys recorded in his diary that stakes were being driven into the ground to mark out the streets. From this date it was all systems go and by the end of 1671 the Guildhall, many of the churches and some houses were fully functional once again. 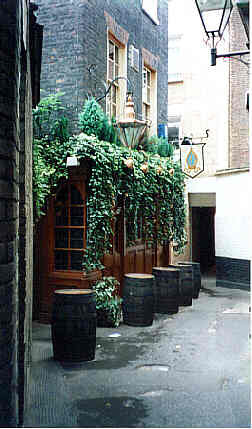 On the corner of Evelyn Yard is the Black Horse public house which has its main entrance in the passage. Once into the passage, the Yard opens out into a very large area surrounded by offices. Iron gates at the entrance to the Yard are usually left open. Exit Piccadilly Circus Station in the Haymarket and cross to the east side. Walk south, crossing Panton Street and then turn left into Orange Street. At the junction with Whitcomb Street turn right and Excel Court is almost immediately on the right. Excel Court is one of the few West End byways still retaining its old world charm. Through the covered passage beneath a four-storey building a most tranquil atmosphere prevails over the Court with its single well tended gaslight, still in use today. There used to be a second lamp but years of decaying rust rendered it unserviceable and council workmen removed it. A few years ago the Court began to look rather shabby and uncared for, but now it has been spruced up and the little garden at the far end is a complement to the pleasing scene. The Court sleeps at night when the beautiful iron gates decorated with woven leaves are closed, but between 9.00 and 18.00 hours the public are free to explore the delights within. Excel Court was only so named in 1936 when Excel House was built, but the Court has been here for much longer that, almost, I suppose, as long as Whitcomb Street itself. This street was once called Hedge Lane and in the 16th century you could have walked along it from Pall Mall to Hampstead as though in the dales of Derbyshire. How charming! In the lower part of the street the narrowness of the old lane is still in evidence; where the pavements now lie, the hedges once grew. However, the quietness of Hedge Lane no longer prevails in Whitcomb Street; now it is like a circuit for fleeing taxies. Off the north side of the Strand, about 250 yds from Charing Cross ML Station and just to the east of Bedford Street. The exquisite originality of this narrow passage must not be missed. Covered at its southern end the Court is quaintly authentic - a real reminder of old London. Four working gaslights illuminate the way, three suspended on brackets and one on a standard. A number of little old doors lead out onto the Court from where, at any moment, you might expect Daniel Quilp or Mr Micawber to emerge. Demarco's Wine Bar is here and where the Court emerges into Maiden Lane, by way of contrast, is the Fat Boy Diner, an American style eating bar. To the east of Exchange Court is the Adelphi Theatre, originally built in 1806 and twice modified - firstly in 1858 when it was largely rebuilt, and again in 1930. Since that time it has held an honoured position as one of London's leading houses of comedy entertainment. In 1897 an enactment of true suspense stole the show outside the bounds of the theatre. It took place late one night after the evening performance. As actor William Terris cleared the grease-paint from his brow and left via the stage door he was pursued along the dark path of Exchange Court, set upon and savagely killed by an envious colleague. His assassin was eventually caught and made it to the top of the bill, treading the boards of the scaffold. Exchange Court takes its name from a market that used to occupy a spot on the south side of the Strand. During the 17th century the Strand was notable for its markets and was one of the busiest shopping streets in London. The first of these markets was on the site of the present Shell Mex House, land that had previously been owned by the Earl of Salisbury. Successive Earls found it to be a drain on their financial resources and eventually the land was sold off for development. 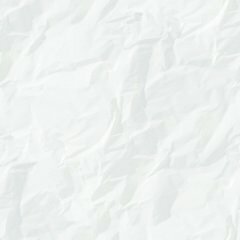 The market that evolved on that site was called Middle Exchange. Because of hassle to customers caused by ladies of ill repute the market was a failure from the start; punters were thin on the ground, traders got fed up, left, and the market closed. Further down the Strand, on the site of Charing Cross station was the Hungerford Market, so named from it being built on land owned by Sir Edward Hungerford. With its close proximity to the River, giving easy access for traders and customers alike, the market soon established a thriving trade. In fact, so brisk was business that when the hall was demolished in 1851 a new and larger two-storey building incorporating a bazaar gallery, exhibition hall, and caf� was opened on the site. Ultimately, the market was demolished in 1862 to make way for Charing Cross station and the management and stall holders were collectively compensated to the tune of �7,750. When Dr Johnson jumped to his feet, disagreeing with his chum Boswell - as he always did - and said 'I think the full tide of human existence is at Charing Cross', he was not referring to the main-line station, but the activity around Hungerford Market. Finally, on the site of Durham House, approximately opposite to Exchange Court, and providing the source of its name, was the New Exchange, opened in 1609 by James I and named Britain's Burse. It was established as a replacement for Middle Exchange in the hope that a change of site would bring about a change of reputation. Popularity was slow to take off but eventually hopes were fulfilled and the market became a flourishing success. Two floors filled the emporium 'furnished with shops on both sides the ones, both below and above stairs, for milliners, sempstresses and other trades, that furnish dresses; and it is a place of great resort and trade for the nobility and gentry'. Like its predecessor, in later years the 'Burse' became plagued with dubious traders who latched onto the success of the market; the quality of custom declined, prostitutes roamed the floors, and the hall was closed down in 1737. Off the south side of Fleet Street between Chancery Lane and Fetter Lane. Opposite to the church of St Dunstan in the West and by the side of Bradford and Bingley Building Society. NOTE: There is an ornate wrought iron gate at the entrance to Falcon Court. When this is closed access may be gained via Upper Churchyard in the Temple. If you had lived in the 16th century and been making a visit to the Temple Church then your access would probably have been through Mr Davis's tailors shop, here in the Court. In those days all churches, their graveyards and cemeteries were places of sanctuary where law breakers could deposit themselves in full assurance that they were out of reach by the hand of justice. The Temple Church was one of the most popular resorts for such criminals and Mr Davis must have been sick to the high teeth with the constant procession through his premises. Henry Styrrell, a barrister of the Middle Temple, too was at the end of his tether with the annoyance caused by the disorderly gathering. In 1610 he petitioned the societies of the Inner and Middle Temple to take action and withdraw the right of way through the tailors shop. Three months after the petition Davis was forced to leave and the building was pulled down. To avoid any future nuisance it was also decided to wall up the gateway between the churchyard and Fleet Street. Falcon Court also features in the very early history of London printing. Wynkyn de Worde, London's second printer, owned a house here. After his apprenticeship to William Caxton he set up in business in 1502 and remained the predominant printer in London until his death in 1534. It is amazing to learn that on his primitive hand press, laboriously printing one page at a time, he succeeded in the production of over 600 books. He was also the pioneer of music printing in England, a technique developed by wearisome trials. In his will he left a sufficient sum of money to supply a pension for the printing apprentices of Fleet Street and a legacy for St Bride's church. He was buried in the previous church of St Bride, which was destroyed in the Great Fire. Falconberg Court is a few paces south from Tottenham Court Road Station on the west side of Charing Cross Road. The Court leads, by way of Falconberg Mews and Sutton Row, into Soho Square where once stood the house of Lord Falconberg, built about 1680 and demolished in 1924. Falconberg Court leaves the main street beneath an archway and continues westerly, passing between rows of tall grubby warehouse type buildings on either side. Although the Court is open to daylight throughout most of its length, the blackness of the walls and dismal paving create an overall spooky atmosphere. At the far end is Falconberg Mews, an equally unsavoury place, and turning left here leads to Sutton Row where a right turn, along the side of St Patrick's Roman Catholic church, opens into Soho Square - a more gratifying panorama. Opposite to the entrance to Falconberg Court is the sky scraper monstrosity of Centre Point, completed in 1967. It is 398 feet high and has thirty-five floors - a complex planned to incorporate shops, a restaurant, and a public house, all which fell flat. Off Cowcross Street, about 40 yds east of Farringdon Station and just past Turnmill Street. Turning into the Alley from Cowcross Street immediately reveals the antiquity of this place. The Alley has been here since about 1660 when building began on the corner of Turnmill Street. Of Faulkerner or his business we have no knowledge, and so we turn to the saving grace in these circumstances, when there are no apparent references, and conclude that he was either the builder or a past resident. Although Faulkner's Alley is extremely narrow, you cannot miss the robust black surround to its entrance, headed by the bold lettering of its name. Another distinguishing identification is the Castle public house, lying adjacent to the Alley. An amusing story concerning this pub tells how George IV called in for a loan when he was a bit strapped for cash, but that is revealed in another place. (See Greenhill's Rents). Farringdon Station and its immediate environment can scarcely be said to fit snugly into the category of green-belt, but a moderately pleasant garden with seating, opposite the northern entrance of the Court, goes just a little way towards relief from the bricks and mortar. Turnmill Street, running down by side of the Castle, was known, in the 14th century as Trimillstrete, of the three mills that stood along this section of the Fleet River. We have it from Stow that in 1307 Henry Lacy, Earl of Lincoln, complained of the filthy condition of the river and its narrowing channel. 'Whereupon Roger le Brabason, the constable of the Tower, with the mayor and sheriffs, were assigned to take with them honest and discreet men, and to make diligent search and enquiry how the said river was in old time, and they leave nothing that may hurt or stop it, but keep it in the same state as it was wont to be.' All the debris was removed and the river cleaned up, the mills were taken away, but still the channel remained narrow and shallow. Stow continues, 'whereupon the name of the river ceased, and it was since called a brook, namely, Turnmill or Tremill brook.' It continued as a repository for rubbish and became 'worse cloyed and choken than ever it was before.' Shortly after, the authorities became sick and tired of the constant complaints, filled it in, and like most abandoned streams it became a lane. Over the old brook was a rickety bridge by which cattle crossed on their way to Smithfield Market, known as Cow Bridge, and further to the east they were driven past a stone cross in the middle of the road, at the junction with St John's Street. The enigma presented here is - did the name of Cowcross Street evolve from the cross, or from the cows crossing the bridge? Stow suggests the former and most delvers into the historical origin of London street names have gone along with him. Nevertheless, it seems quite conclusive that the bridge must have played a leading role and that topographists down the ages have been swayed by the old rover. From Monument Station take the underpass to Eastcheap north side. Walk east along Eastcheap crossing Philpot Lane then in about 70 yds turn left into Rood Lane. At end of Rood Lane cross to the north side of Fenchurch Street, turn right, cross Cullum Street and Fen Court is about 25 yds on left. Until about 1954 Fen Court left the main thoroughfare through a tunnel-like archway beneath an old house, but now it is greatly widened and merely forms an opening at the side of Fountain House. It leads to the site of St Gabriel's churchyard, the middle-of-the-road church that gave its name to the street (Fen Church). It was built about the beginning of the 14th century under the patronage of the Priory and Convent of Holy Trinity (Aldgate) and destroyed in the Great Fire. St Gabriel's was never rebuilt and the parish was amalgamated with that of St Margaret Pattens. In 1954 St Margaret Pattens became a guild church, relieving it of all parochial duties and the old St Gabriel's parish was passed to the administration of St Edmund the King, Lombard Street. In 1960 the tenants and owners of the surrounding offices pooled together and provided funds for stone paving, seating, and planting flower beds in the old churchyard. Amid the trees and remaining table-top tomb stones this serves as a very adequate repose to rest the weary feet, relax over a packed lunch and perhaps take wine at the City Flogger (wine bar), half way along the Court. From Chancery Lane Station walk west along north side of High Holborn for about 130 yds and turn right, under the archway, into Grays Inn. Pass the Porters Lodge and through the arch into South Square. Continue past the Hall and turn left, through a third arch, into the Court. Situated on the western fringes of Gray's Inn, Field Court is one of the most picturesque locations in this part of London. It is a private court, although the public are free to wander around by courtesy of the Inn. Since the 13th century the Lords Gray of Wilton held their town house on the north side of the road leading from the City out to the western reaches. Towards the late 15th century, Edmund, Lord Gray of Wilton, a lawyer himself, sold his estate comprising 'a goodly house' called Portpool, three additional houses, four gardens, a windmill and eight acres of land, to Hugh Denny and his wife, Mary. Within eight years of the transaction the entire estate had passed into the hands of Shene Priory and was leased out to students of the law at an annual rent of just over six pounds. In 1540 the priory was dissolved under the heavy hand of Henry VIII and Lord Gray's old inn became Crown property. The establishment of the Society of Gray's Inn took place in 1516, with the election in the Michaelmas term returning William Walsynham as treasurer and John Spelman as principal reader. The gardens, accessed from Field Court and called 'The Walks', were laid out in the reign of Elizabeth I by one of the Inn's most celebrated members, Francis Bacon, who was admitted in 1576 and elected to serve as treasurer in 1608. Catalpa trees are not the common find in every English garden but here there are two; the older of the pair, supported on crutches for many years now, is reputed to have been brought from America by Sir Walter Raleigh as seedlings. Bacon's statue, in bronze, occupies a prominent position in the South Square. Also in the square are three rows of 17th century houses and on the north side is the Hall and the Chapel, the earliest surviving part of the Inn, dating from the early 16th century. The Library, on the east side, backs onto Grays Inn Road. The Hall, completed in 1560, is a truly historic monument of Elizabethan times. Beautifully panelled, the walls are rich in painted heraldry. The colourful windows are of the 16th century and the roof is supported by magnificent hammerbeaming. An oak screen at the west end is reputed to have been donated by Queen Elizabeth. Although the Chapel, the Hall and the Library were badly damaged in the last war they have been restored almost to their former glory. It was here in the Hall of Gray's Inn that the first performance of Shakespeare's The Comedy of Errors was staged in 1594. Adjoining to the north is Grays Inn Square where, in a tiny dark room, William Corbett sat scratching out the accounts with his quill pen. At number 1 Charles Dickens worked as a clerk, seated for endless hours at his high desk. Nicholas Bacon and his five sons lived at number 12. The gatehouse leads out onto Grays Inn Road.